Although Ginger may have CRF, you can help her have an active, rewarding life. If Ginger's kidney function has decreased, it means her body has a hard time removing extra fluids, waste and salts from her blood. Decreased kidney function (or chronic renal failure -- CRF) has become more common in older cats. CRF can't be cured, but it can be successfully managed. Cats need only 30 percent of their kidney capacity for normal functioning, so it's normal for symptoms to appear when about 70 percent of kidney function is lost. If Ginger has been hunching over her water dish and can't seem to get enough water, she's displaying classic symptoms of CRF. Other symptoms include excessive urination, weight loss, decreased appetite, lethargy, poor coat condition and dehydration. If the disease is in the later stages, symptoms can include vomiting, bad breath and ulcers in her mouth or tongue. Not all cats will display all symptoms and your vet will have to perform clinic tests to confirm the disease. Although diagnosing CRF is relatively easy, determining the cause is often impossible. The American Animal Hospital Association notes that CRF is usually the result of the organs "wearing out with age." However, kidney infections, kidney tumors and toxic substances (such as antifreeze) can result in decreased kidney function. A few breeds, such as Persians, are also prone to polycystic kidney disease, which can result in CRF. If Ginger has been diagnosed with renal failure, her treatment will depend on how the disease has progressed. In most cases the vet will recommend a change in diet. A diet low in protein and phosphates is considered helpful because it will put less stress on Ginger's kidneys. There are several prescription foods available through your vet that will meet Ginger's nutritional needs while minimizing protein and phosphate content. Ensuring that she has access to fresh, clean water is vital -- cats with CRF can easily become dehydrated. Fluid therapy, which involves subcutaneous fluids with electrolytes being injected under her skin, is very beneficial to a cat with CRF. It provides the kidneys with extra fluid to produce urine (and eliminate waste). Although the prospect of administering subcutaneous fluids may seem daunting, this is a common procedure that many pet owners do at home themselves, with some direction from their vets. Many cats adapt well to home-based fluid therapy. Diet and fluid therapy are important to managing Ginger's decreased kidney function, but there may be other courses of action that can help her feel better. Famotidine (more commonly known as Pepcid) reduces acid in her stomach and phosphorus binders can also help neutralize the extra phosphates that can make her ill. Some cats can be finicky eaters, so it may take time to find a diet that Ginger will agree with. It will be vital to maintain good communication with your vet as Ginger adapts to life with lower kidney function. Your vet will be able to help with diet selection and will perform regular lab tests to gauge how Ginger's kidneys are responding to treatment. It's always a good idea to take a senior cat to the vet for regular examinations. By performing regular exams and lab work, your vet can potentially uncover issues, such as declining kidney function, while they are at a manageable level. Why Won't an Old Cat Won't Use the Litter Box? 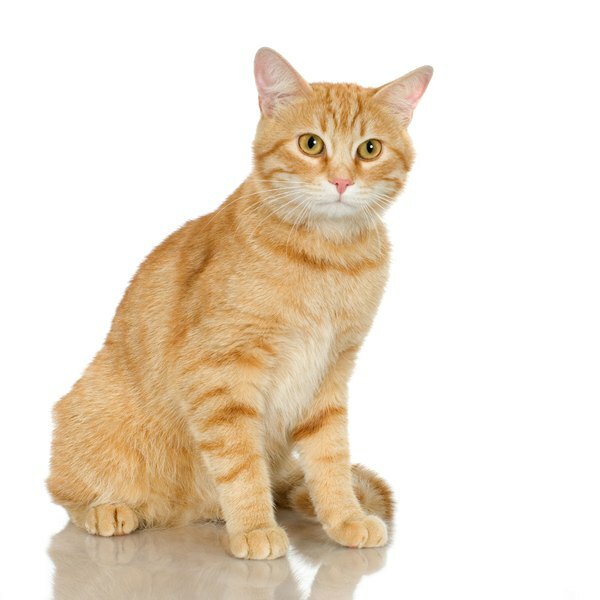 What Is Turgor in Cats?